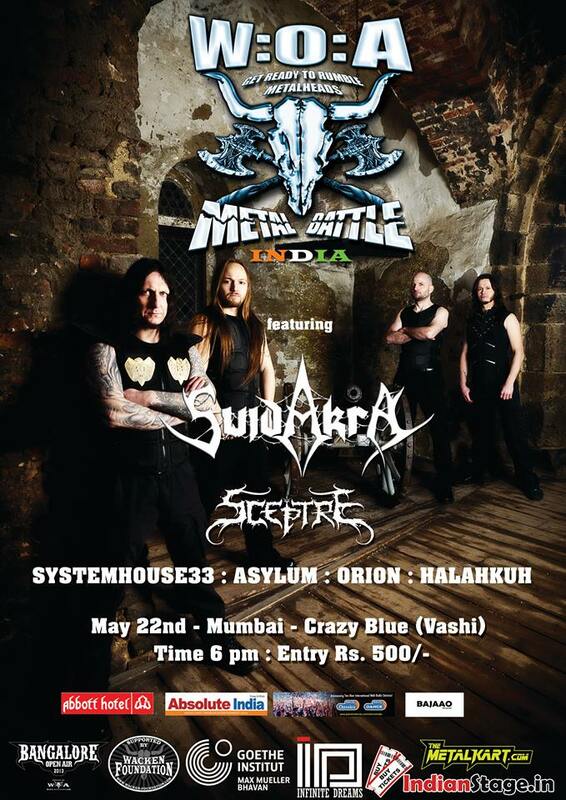 SystemHouse33 among 4 bands to compete at Metal Battle India – Mumbai 2014. SystemHouse33.com: SystemHouse33 is happy to announce that it is one of the four bands to be shortlisted for the Mumbai-leg of the famous Wacken Open Air (WOA) Metal Battle India. The heavy metal battle takes place on May 22, 2014 at Crazy Blue in Vashi, Mumbai. Besides this 10-year -old experimental death thrash band, the other bands that will be competing are Orion, Asylum and Halahkuh. WOA Metal Battle India will be headlined by German folk metal band Suidakra and veteran Indian thrash band Sceptre. Check out SystemHouse33 playing the title track of their fourth album “Depths of Despair” at Blue Frog in April 2014.